"I grew up on a dairy farm, which gave me a strong work ethic and a 'can do' attitude," Ross said. "This has served me well throughout my career." Ross has served more than three years on USS Montgomery, bringing the ship from the builder in Mobile, Alabama, commissioning, testing and certifying the ship. 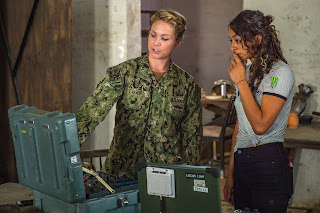 He brought her through a shipyard period designed to prepare the ship for deployment, and supported several “first” certifications as an operational asset and crew ready for deployment. The ship’s technological benefits allow for swapping mission packages quickly, meaning sailors can support multiple missions, such as surface warfare, mine warfare, or anti-submarine warfare. Designed to defeat threats such as mines, quiet diesel submarines and fast surface craft, littoral combat ships are a bold departure from traditional Navy shipbuilding programs. The LCS sustainment strategy was developed to take into account the unique design and manning of LCS and its associated mission modules. 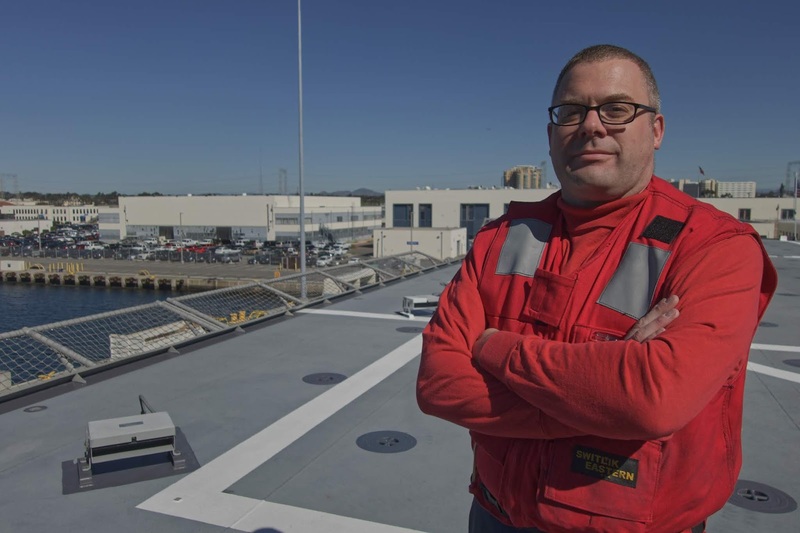 Though there are many ways for sailors to earn distinction in their command, community, and career, Ross is most proud of being an electronics technician. "Electronics Technicians are generally a diverse group with a wide range of skillsets," Ross said. "I’ve worked hard to become an “everything tech”, but I do have a few areas where I’m considered a 'subject matter expert.' Being called upon to help other ships with an issue on their systems is encouraging because it shows the work I’ve put in over the years is paying off." Ross has military ties with family members who have previously served and is honored to carry on the family tradition. "My grandfather served in the Navy as a signalman second class in World War II, though it wasn’t talked about much when I was young," Ross said. "He was also in the African campaign, guiding amphibious forces to the beach." As a member of one of the U.S. Navy’s most relied upon assets, Ross provides a critical component of the Navy the nation needs. "Serving in the Navy is serving something other than yourself; working towards a greater purpose," Ross said. "You have to balance the needs of the Navy against your own personal goals. I’d like to think I’ve done a pretty good job in that balance during my career."